certification process, we knew we could rely on them. Stay focused on what you do best and leave the rest to us. We are Experts in Safety compliance standards across numerous industries. We help get businesses certified to help them compete for larger clients and bigger contracts. We have a wealth of knowledge built up over many years working with Safety Management Systems. We know how to get you ready for safety certification to tender properly. We are professionals from industry. Has your client asked you to become Safety ‘Certified’ ? Do you need 3rd Party Safety Certification for an upcoming tender ? Are you needing to improve your corporate safety image ? Do you need to reduce the number of incidents in your organisation ? Do you need to improve your safety management due to an Enforceable Undertaking ? If you answered YES to any of these questions then you need to be considering implementing a Safety Management System in accordance with Australian Standard AS4801 / ISO45001 or OHSAS 18001. What is a certified safety management system all about ? An Occupational Health and Safety Management Systems (OHSMS) primary objective is to effectively reduce workplace incidents and illness. To be effective and achieve company safety objectives, management systems need to be structured and integrated into the organisations processes. By demonstrating sound Occupational Health & Safety performance through controlling risks consistent with company policy, objectives and legal requirements, your clients take comfort in knowing that you have solid risk mitigation strategies to protect your people and your organisation. Becoming 3rd party certified means that an independent external organisation assesses your organisations safety practices against the elements of a particular standard. Within Australia, the relevant Standard is AS/NZS4801 Occupational Health and Safety Management Systems and the new International Standards ISO45001. Other countries including Australia also recognise a British framework OHSAS18001. Most Australian certifying organisations are able to certify organisations in either Standard. Why should we become certified ? A poor safety record will dramatically reduce your opportunity to win work. Having an independent assessment of your Safety System provides your clients, the general public and local, state and federal authorities that you are meeting sound safety management practices. A poor performance with your organisations safety can place a significant burden on your organisation. Clients, particularly tier 1 companies and government agencies place significant weighting on safety performance when evaluating tenders. By focusing on your organisations safety performance it is evident that moral improves, efficiency and productivity increase and the costs of human injury and illness significantly reduce. Operating safely is GOOD FOR BUSINESS ! How we can make your day ! “Our primary focus is to take the stress of certification away from our clients”. We have designed, developed and implemented certified safety management systems into small contractor organisations through to large tier 1 companies for many years. We also develop integrated management systems (ie. integrating Safety, Quality and Environmental Management Systems) that are user friendly, seamless and provide tangible benefits to process workflows. Leave it all to us so you can focus on your bottom line. We understand the pressures of having to run your operations and with a commitment such as a certified system we provide flexibility to meet your individual requirements. We offer our clients a number of modes to achieve certification. We can be involved as much or as little as you need during the process. Our systems can be developed to integrate with other Standards and provide an “Integrated Management System” solution. Turn-Key Solution – This mode is best suited for organisations who are looking for someone to take complete control and manage the process from start to finish. 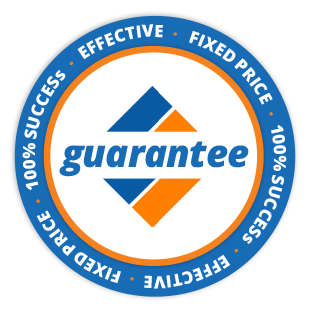 We offer a fixed price guaranteed design, development and implementation through to successful certification. We custom build your management system in alignment with your current processes. Working hand in hand with your nominated personnel, we build an efficient and effective system tailored for your organisations needs ….. the first time ! We even attend the audits with you to show you the full process. Document Development – This mode is ideal for organisations who have the capacity and know-how to implement a system and also manage the ‘change’ processes involved with new work practices and procedures themselves. Similar to our Turn-Key solution, we undertake a review of your current systems against the requirements of the Standard and design and develop the full system documentation. Manuals, management plans, procedures and working documents are provided and appropriately aligned with your organisations work practices at all levels of your organisation. Consulting capacity – Clients use this model when they have available competent internal personnel to allocate to the design and development of documentation and where timeframes are not imperative. In our experience with this model, we have found that the certification process tends to be delayed past completion dates as resources struggle to prioritise the time to keep developing the system. Our involvement can be face to face at your premises, or across any digital medium. We routinely assess your implementation progress against the Standard and provide a fully detailed implementation checklist so you can keep track of your own progress. Because of our history in the industry, we are able to provide significant value added advice & service. Our primary focus is to ensure you have a seamless, stress free and professional experience. We recognise the importance of our involvement and the investment you are making in your business. We are passionate about our work and enjoy helping organisations become more efficient, legally compliant and growing. Testament to our passion is our increasing client base and repeat business. 24/7 access to us during and beyond the certification process. The availability of our staff to answer any system or safety related question you may need answering. (Soon to come) Instructional videos on system documents – how to use them, when to use them & how to maintain them.